The PORCELANOSA Grupo today inaugurates the 26th Interior Architecture International Exhibition. The KRIONTM showroom will be the scenefor many innovations that are aimed at the professional sector this year. The KRIONTM exhibition space is located at the firm's facilities in Vila-Real. Professionals from all over the world are expected to visit one of the most important national events in interior design and ceramics. 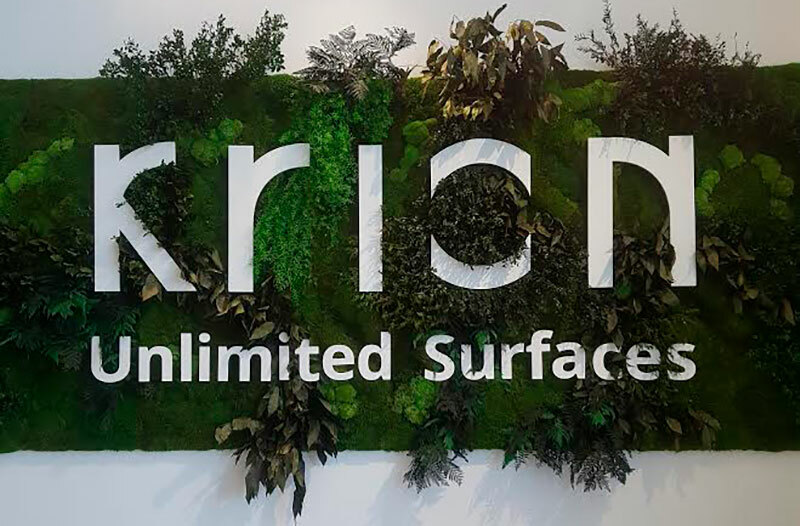 This year is especially exciting for KRIONTM, since beyond being the name of the most innovative solid surface, it is now also the name of the company. Thus, KRIONTM Porcelanosa Grupo will be one of the eight firmsfrom the PORCELANOSA Grupo. The market need and guidancefor professionals have been the main reasons for this specialisation adaptation, both internally and externally in the company. As from today, KRIONTMputs its focus on the Retail, Hotels and Healthcare sectors in the Contract sector which is geared towards furniture and equipment. In this new venture, the KRIONTM salesdepartment will be divided up into KRIONTMUNLIMITED SURFACES and KRIONTM PORCELANOSA BATH. Under both titles, innovations and the latest designswill be showcasedin more than 2,000m2 that the two floors of the exhibition take up. The visitor's experience is one of the most worked issues for the KRIONTM showroom. The organization wanted each person to feel the values of the firm, as well as always feeling like a part of it. To do this, an area where one can feel the five senses of the K-LIFE's experience, the KRIONTM's most sustainable material, has been reserved. Also, the new colours that will strengthen future trends will lead the way in an exhibition space full of surprises. Moodboards, cocktails and endless performances designed for the user to get involved in the professional, cutting-edge and explorer spirit from KRIONTM. From KRIONTM PORCELANOSA BATH, its latest innovations are the SMART series, made up of KRIONTM countertops and wall-hung wooden furniture. Also, there is NEST, with soft lines, asymmetrical shapes, without corners and a perimeter edge. Both supported by a wide range of accessories that provide functionality and versatility to the set. As well as that, the NEW ARO AIR SERIES has been created, which is modern and minimalist and it is based on the successful ARO SERIES, both designed by the Valencian Estudi-Hac studio. Summing up, this will be an intense week for the firm, a week full of news, visits and exciting innovations. Keep an eye on all the social networks because the new KRIONTM journey begins NOW.